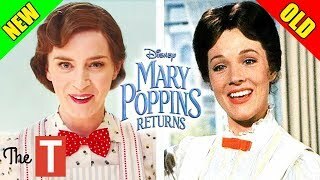 In Disney’s “Mary Poppins Returns,” an all new original musical and sequel, Mary Poppins is back to help the next generation of the Banks family find the joy and wonder missing in their lives following a personal loss. 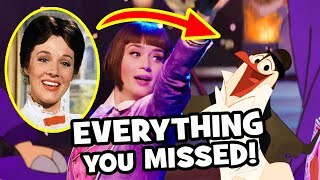 Emily Blunt stars as the practically-perfect nanny with unique magical skills who can turn any ordinary task into an unforgettable, fantastic adventure and Lin-Manuel Miranda plays her friend Jack, an optimistic street lamplighter who helps bring light-and life-to the streets of London. Sorry but I will never like this version. Is this in the remake movie? Or was this just for Broadway? Because that IS NOT a song in Mary Poppins. I LOVE THIS SOOOO MUCH! Please make a John Carter Sequel Movie!! The costume designer is brilliant. I about started crying when the penguins came out. All movie long I wondered what call backs were going to be in this one front the original, and this one was hands down my favorite. The penguins were my favorite part of the first one. This movie felt like watching the original for the very first time. I saw the movie today and I wanna see it again. I love it when she says “Well, go on ‘en!”. She’s so hot! 0:16 Lol, Bert loved dancing with the penguins! Jack, though, seems slightly annoyed by them! He doesn't want them to steal the spotlight. Favorite song and performance in the movie! I did enjoy the film, but the one MAJOR problem I had with it were the musical numbers. I came out of the theatre and I did not remember a single song in the movie. With the original film, I practically know all the songs word for word and can hum them all. The new film has no memorable songs. Also, there was absolutely no point in having the scene with Meryll Streep because the whole reason they go to her is to get the China bowl fixed, but they never go back there go get the fixed bowl. Am I the only one here who knows Nellie Rubina is also a character in the Mary Poppins books? William Craig Now, you and I are the only two. 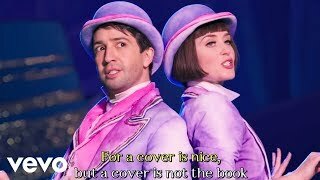 I can't be the only one who imagined Alexander Hamilton wearing these purple and pink costumes, right? 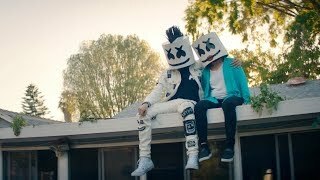 I WANT THE WHOLE SONG. IN HD. RIGHT NOW. When I saw this at the movie theatre all I could think was "Hamilon's out of control"
I absolutely LOVE that they brought the penguins back!!!! Why does their outfits look like Pepto Bismal to me? Spencer Frank Clayton not really. Two of the stories that are in this song are from the books. The one with the Dirty Rascal and the one with Nellie Rubita. And even though they were made to be humorous to adults they weren’t originally that way. A Dumond Yes, it's a little out of place. Obsessed with this song. Emily nails the choreography while maintaining all that charm. Her best scene in the whole movie. Lin is an animal abuser confirmed? Reminds me of a Vaudeville performance. getting some thoroughly modern millie vibes from emily's hair?????? Uma Thurman in Pulp Fiction anyone? It brought back that true magical feel Disney was once known for. 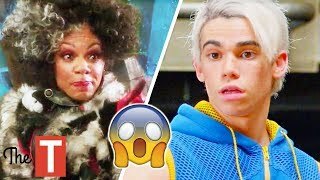 The thumbnail is not the vid! It is one of my favorite songs in Mary Poppins Return. I know people say that this movie didn't need a villain, but I have to admit that I loved how the animated world pulled off showing three suspicious characters that would be allegories of people from the real world just like they did in The Wizard of Oz films.